Do you ever have a day that requires a good cry? If so, pick up this book and you will ugly cry and get it out of your system. I was tearing up and choking back tears from the prologue, but I could NOT put this book down. I basically read it from cover to cover in one sitting. And that is rare for me. The story begins with Liz Carlson losing the her husband, Grady, to cancer. Add to the pain, the chaos of raising 4 children up alone and it is no wonder Liz was ready to pull her hair out. She is angry, sad, bitter, devastated and more, all wrapped up in a package. I can not imagine the grief, anguish and pain losing a spouse cause someone, however, Rachel Higginson seemed to capture all of the emotions seamlessly. The moment Ben Tyler is introduced in the story, I loved him. Anyone that can bribe a child with Pop-Tarts to win a battle is special material. I love that Ben never pushed Liz more than he thought she could handle, but he also didn't treat her like she was fragile. He was the perfect balance for her and exactly what she needed, as well as the kids. He was not jealous of Grady or made anyone feel like they could not love their Dad/Husband anymore. He truly made the story epic. The emotions that this book evoked from me were very intense. I could clearly see how Liz was struggling with denial, guilt, anger and more. And if I were in her situation, I think I would react exactly the same. It was so refreshing to read about real life situations, with characters that could be real. Don't get me wrong, I love a good Alpha billionaire along with everyone else, but sometimes you just need a good dose of reality. It was profound to watch Liz grow and rise from the ashes of her past and circumstances she never asked for at all. 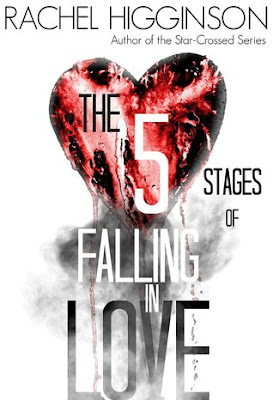 Hands down, The Five Stages of Falling in Love is one of the BEST books of 2015. If you haven't read it, you are missing out on a heartbreakingly, beautiful story.